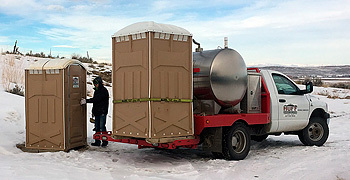 Huff Sanitation has been serving Fremont County, Wyoming since 1964 with septic tank pumping, inspections, and clean, modern, pleasant smelling portable restrooms. Serving all of Fremont County including Lander, Riverton, Dubois and the Wind River Indian Reservation including Fort Washakie and Ethete. 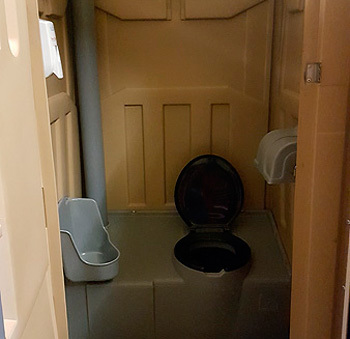 Call em’ portable toilets, porta potty’s, johns, privy’s or whatever you like, Huff Sanitation is the leader in clean, pleasant smelling and modern portable restroom facilities in Fremont County, Wyoming. More . 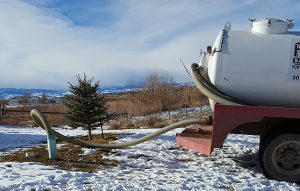 . .
Huff’s Sanitation has been pumping and inspecting septic tanks in Fremont County since 1964 when Ronald Huff founded our business. 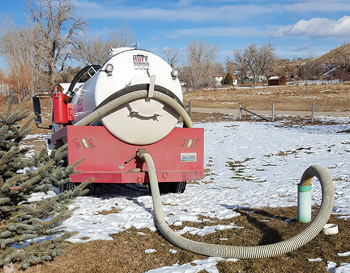 Since then his son Rich bought the business and now with three full time employees and two pumping trucks we are ready to help you with your septic tank needs. More . . .
Huff Sanitation offers a video camera inspection of of your sewer or septic lines. We can video inside a pipe as small as 1.5 links and over 150 feet in length. We can send the recorded video to your computer or your phone and can locate the camera head above ground for marking or mapping. This is a very handy service for peace of mind when you are buying a house or trying to locate a blockage in your system. More . 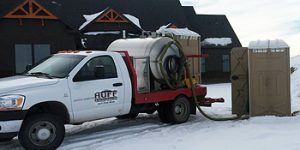 . .
Huff Sanitation has a commercial sewer line cleaning machine for sewer lines from 1 to 4 inches in diameter. Our industrial machine cleans out tree roots and other blockages that build up over time. More . . .